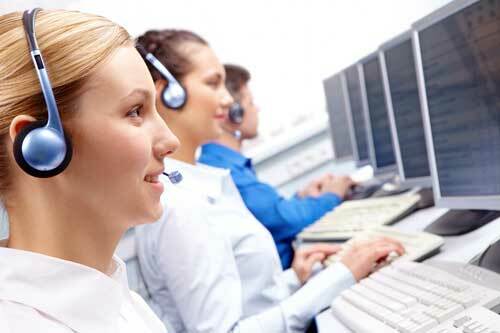 Why Choose a True Live Chat Solution? You may have a contact center solution that either includes some version of live chat or offers an add-on live chat option. Unfortunately, not all live chat is created equal. Many of these omni-channel solutions try to address all possible channels of communication and don’t specialize in any one. This causes components of these systems not to include as comprehensive an array of features as dedicated chat vendors who specialize in true live chat solutions. Below is a brief description of some of the features you might be missing out on by not selecting a chat solution from a vendor specializing in live chat. Using live video chat brings a new dimension to online customer service and sales. With a high-quality video chat solution you are able to demo your products to customers. Suddenly, the unknown, distant customer service representative is replaced with a personal, consultative and live sales associate, giving customers the same level of service found in brick and mortar situations combined with the convenience and speed of the Internet. This function allows your agents to more efficiently assist customers and prospects during a chat session. They’re able to securely share documents without exiting chat or communicating through alternate channels. The result, increased customer satisfaction and more one-call resolutions. Allowing operators to see what customers are typing in real time through preview chat enables them to prepare responses more quickly. They’re also able to identify and queue up previously-prepared responses while customers are still creating their messages. This reduces overall service time and increases agent efficiency. Gain deeper insight into customer behaviour and improve contact center efficiency with comprehensive reporting. Advanced live chat reporting tools make it easy to monitor key metrics and optimize processes for both customers and agents. This increases customer and agent satisfaction while aiding in consistent agent performance improvements. Provides the ability to easily integrate customized online forms and surveys before, during, and after live chat sessions. This provides additional intelligence to your chat operators so they can more efficiently handle customer requests. Pre-chat forms help service agents resolve questions more quickly. Forms issued during sessions help convert potential customers into qualified leads. Automated end-of-session surveys help ensure agents are meeting customer needs and providing optimal service. These forms are also useful when agents are off-line and to gather key prospect information. Allows each agent to see, at any given moment, which other operators are currently online, which department each one is in, and if they are busy or available. It facilitates internal live chats with peers while the agent, who’s initiating this behind the scenes interaction, is in an active chat with a customer. Agents may also use this feature to check updates on operator and customer events. This allows the collection of additional data concerning chats, categorizing them by type of chat or topic of chat. May be useful in service center staffing as well as improvement of self-service knowledge base for improved customer satisfaction. Why settle for a standard, off-the-shelf chat solution? One size does not fit all. You deserve to have branded chat buttons, a customized interface, and other tailor-made features. Of course, all omni-channel and multi-channel solutions are different, so you may be missing out on even more live chat capabilities by settling for an add-on instead of a true live chat solution. If you think that you and your customers deserve the best live chat experience, you should select a complete and specialized chat solution for your company. Malene Wessel is Head of Marketing at Live Guide Chat. For more information on how live chat can help companies increase sales and customer satisfaction while reducing their service costs visit liveguidechat.com.